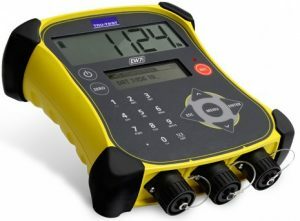 Tru-Test scale indicators are the fastest, accurate, most versatile and durable indicators in the world. They feature Superdamp™ technology to record accurate weights quickly, even with the liveliest animals. Within 3-6 seconds the weigh scales lock on a weight, and a bright stable light lets you know when it’s ready to be recorded. It features an auto zero function also ensures any left over animal dirt or manure is zeroed after the animal leaves the scale. Furthermore, Tru-Test indicators work with all Tru-Test load bars. First, with the capability to record information against Electronic ID (EID) or Visual tags, you can easily see and analyze individual animal performance and history. Replaceing guesswork with facts, the EziWeigh7i displays live weight gain since the previous session, then showing animal performance right there in the yard. 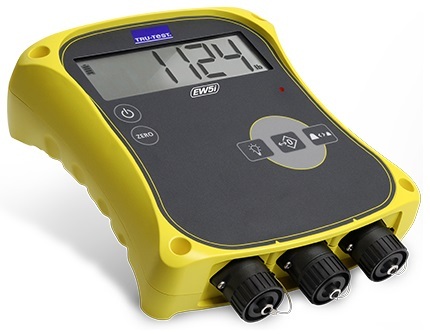 Using its built-in Bluetooth® technology, the EziWeigh7i wirelessly connects to Tru-Test’s EID readers, automatically sending the scanned ID’s straight into the weigh scale indicator, saving time and improving accuracy. Yet, the animal’s VID can be entered using the large and durable keypad. The EziWeigh7i features Tru-Test’s proven Superdamp™ III technology, enabling you to record accurate live animal weights more quickly than any other weigh scale on the market, even for the liveliest animals. Tru-Test load bars are the most reliable, rugged and long-lasting available. They’re made of aircraft grade aluminum for ultimate resistance to corrosion, and can be used with any Tru-Test indicator. Also, all Tru-Test Load Bars and Load Cells come with a 2-year warranty. Versatile. For all animal types. Designed for use under a variety of single animal portable applications, including alleyway platforms, cages or small animal crates. Tru-Test weigh platforms are built to perform in harsh environments. Therefore, it is corrosion resistant, and can be moved around to different pastures or weigh sites easily. When considering your options we recommend ing the complete tru-test scale system that includes the indicator, load bars, and platform together. This ensures your weighing flows smoothly and everything works together. Lastly, this system fits nicely in our 8 ½’ adjustable alleyway and in the alley section of the complete portable system. Therefore, if you plan on using it in a different spot, please give us a call before ing to make sure it will work for you. Contact us with your questions or to receive a quote.